The people who have known me for a long time would probably agree with me if I’d say Chaotic or Impulsive would be my middle name. I often don’t think things through and decide to do things impulsively. So that’s how I ended up trying to hike to the peaks of the mountains in Bukansan National Park. 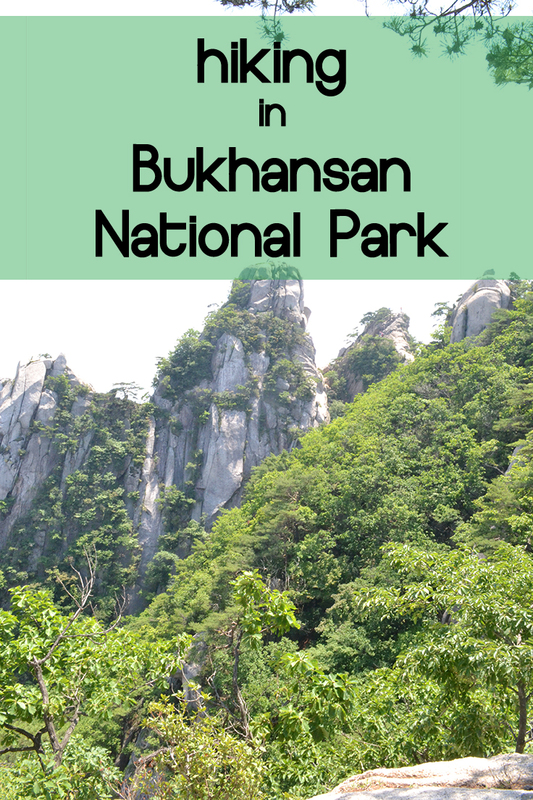 Surprisingly enough I didn’t hear about Bukhansan National Park when I first visited Korea. A Korean friend of mine mentioned it when I was telling her about my upcoming trip to Seoul and told me I should go if I wanted to get out of the city. Although I love city life, sometimes I really want to get away and enjoy nature. So her suggestion to go for a hike was a great one. Bukhansan National Park has been a national park since 1983 and is about 80km². 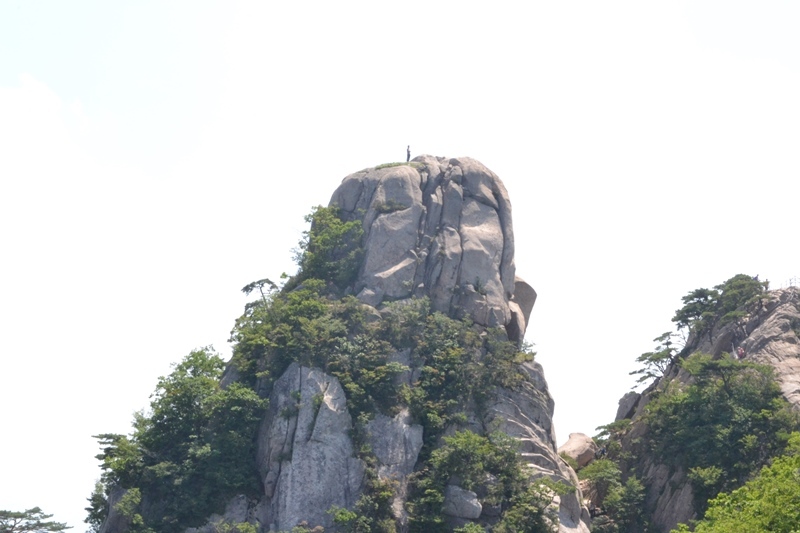 In Korean, Bukhansan means ‘big mountain in the north’ and the locals call the park ‘Samgaksan’. ‘Sam’ in this part means 3 and refers to the three peaks of the mountain. According to a Korean hiker (who I walked with for a bit), its nickname is ‘white belly’ because of the look of the mountain. During my hike I brought my vlogging camera to take my followers with me. Check out the vlog to see what it is like to go hiking in Bukhansan National Park. Haha, you thought I would be all dressed up in hiking shoes and ready to go? Well, you thought wrong. I’m one of those people who can see a photo of a place or hear somebody talk about it and decide to go there, soley based on what they’ve heard, just because it sounded cool or looked pretty. So, that’s what I did. I thought it sounded & looked cool, decided to go and didn’t check what kind of hike it actual was. So unprepared like I was, I thought I could get to the top dressed in a skirt and with my All Stars on my feet. Boy, I was wrong. Well, kinda. For the most part I was actually doing fine. Yes, it would have been easier, but my feet never hurt and I never had issues trying to stay on my feet. It was only when I was getting closer to the top that I was getting a little annoyed with myself for not wearing proper clothing and shoes. Although I wasn’t prepared clothes wise, I was prepared when it came down to water & food. I brought plenty of snacks (a sandwich, some nuts, and an apple) and enough water to stay hydrated. 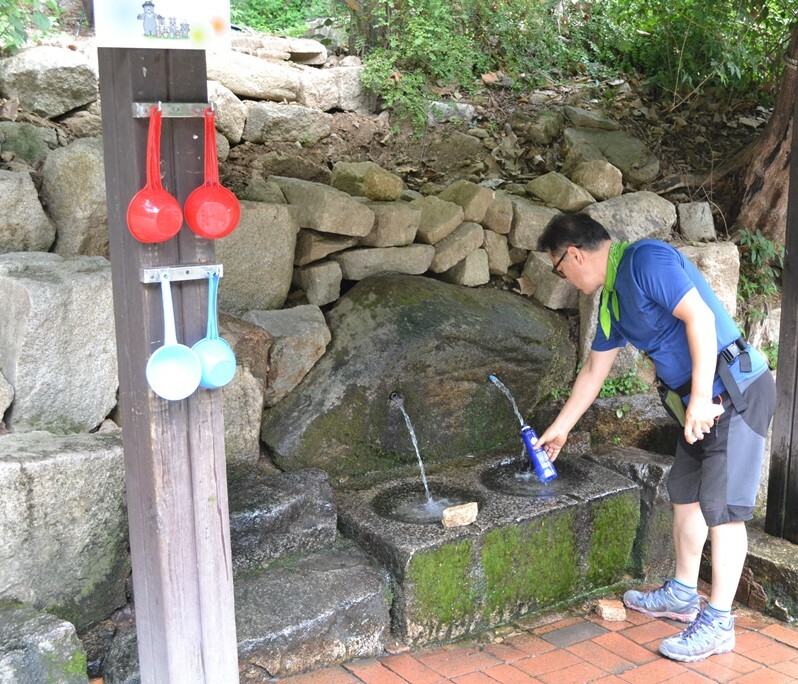 Most of my water had be drank already around the time I started hiking, but luckily there was a place to get fresh mountain water. After hiking for a while I sat down to take in the scenery and the beauty of the place. 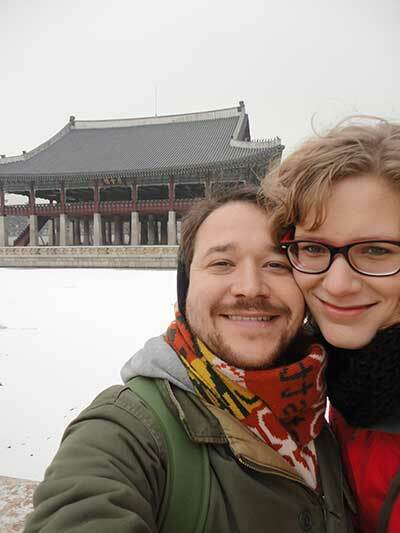 A few minutes later a Korean man started talking to me in English. He asked me if I would mind hiking together for a while. 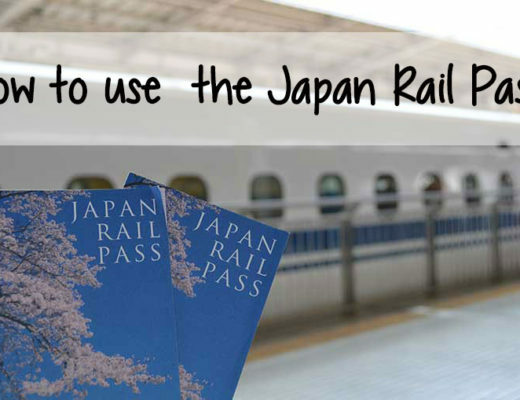 I happily agreed as meeting locals is one of the things that makes travel so special to me. Not long after we started walking together, I realized he is an experienced hiker. He told me he runs multiple times a week and goes to the Bukhansan Park twice a week to climb the mountain. Right after he told me this I felt like a complete couch potato. I. Am. So. Not. Fit! Multiple times I tried to convince him to continue on his own, but he refused and decided to keep me company. Eventually, I reached the top. The last bit of the hike wasn’t easy: the sun was burning, I was hot. I was sweating like crazy and I felt like a little monkey trying to get up the mountain. Climbing the mountain was even harder after I just climbed the steps. Yes, steps. There is one part where they made steps and a platform from where you have an amazing view over Seoul. On the day of the climb it was somewhat hazy, so unfortunately I didn’t get a clear view. The view I got from where I was standing was amazing! Like I said, I didn’t get a clear view of the city, but the view on the mountain peaks itself was impressive enough. From where I was taking in the view people continued to hike. You can climb the 3 mountain tops and go down on the other side of them, back to the starting point. For about a minute I seriously considered doing this, but after observing the Koreans and looking back at my outfit I decided against it. I might have done it had I been wearing decent hiking boots (something like these) and better clothes, but even than it would have been a pretty risky climb. Risky or not, there are quite a few people who take the risk and decide to do the climb. Respect! After a while I even saw someone on the highest peak! He somehow got up there and he was trying to make his way back down. With my mouth open I observed him for a while until he disappeared in the bushes. 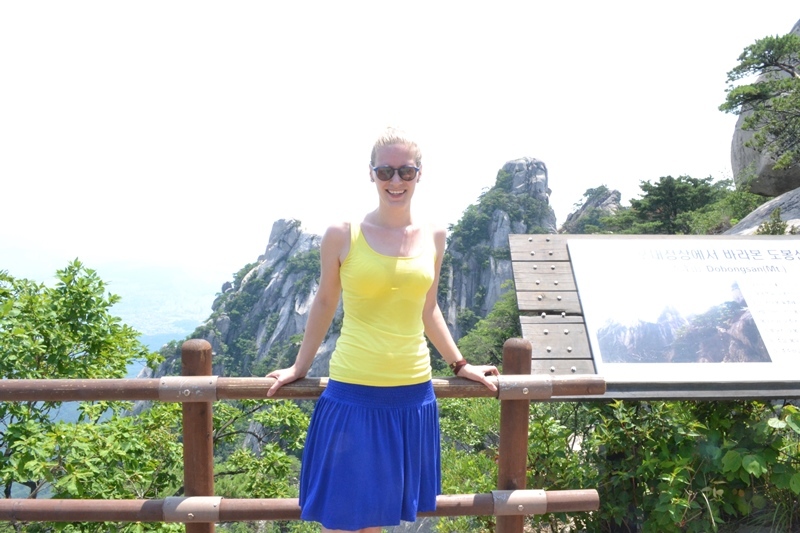 When you’re planning a trip to Seoul, you should definitely hike to Bukhansan National Park. Even if you don’t want to complete the hike and go all the way to the top, it is still a nice place to escape the liveliness of Seoul. This is what the Koreans do too. When I was at the park I saw a lot of families and groups of friends enjoying the coolness of the park, eating snacks, laughing and having a good time. It looked like something I would do! Unfortunately Beijing isn’t really the place for it. It is easiest to reach Bukhansan National Park by subway. Take subway line 1 in the direction of Soyasan and get off at Dobongsan. From there, just follow the other people who are going to the park. You will go through some small streets with restaurants and shops selling hiking gear and eventually will end up at the entrance of the park. It’s a 10-15 minute walk. Entrance is free. Bring enough water & snacks for your hike. After you enter the park you won’t find any places to get water or snacks.